Carpenter’s Daughter x Julian Lucas. Film still © Carpenter’s Daughter. 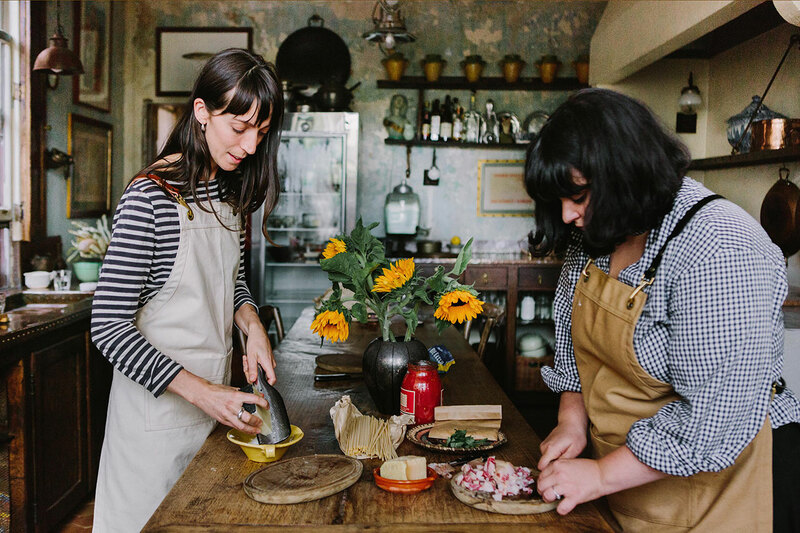 As many hands-on creatives do, Australian designer Camille Moir-Smith started working on her new venture not in some sleek studio or well-equipped workshop, but in the backyard of her family house in Melbourne where she painstakingly crafted her first handmade canvas aprons. 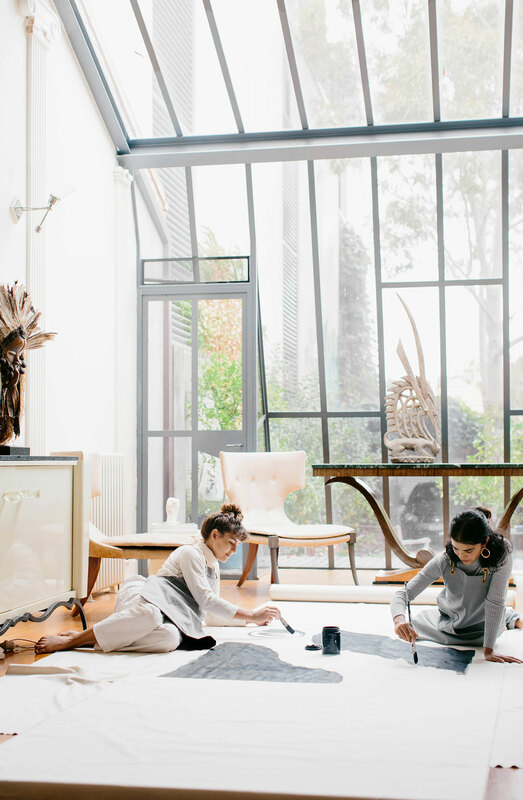 That was in 2014; four years later Carpenter's Daughter, her brand of custom utility smocks for creative occupations such as florists, baristas, bakers and carpenters, has its own studio space in Collinwood, one of Melbourne's hippest neighbourhoods, as well as a dedicated team of artisans. Inspired by the brand’s reputation for exquisite craftsmanship and creative uniqueness, a new film by Melbourne-based director Julian Lucas lyrically portrays Moir-Smith’s creative ethos and free-spirited dedication to her craft. 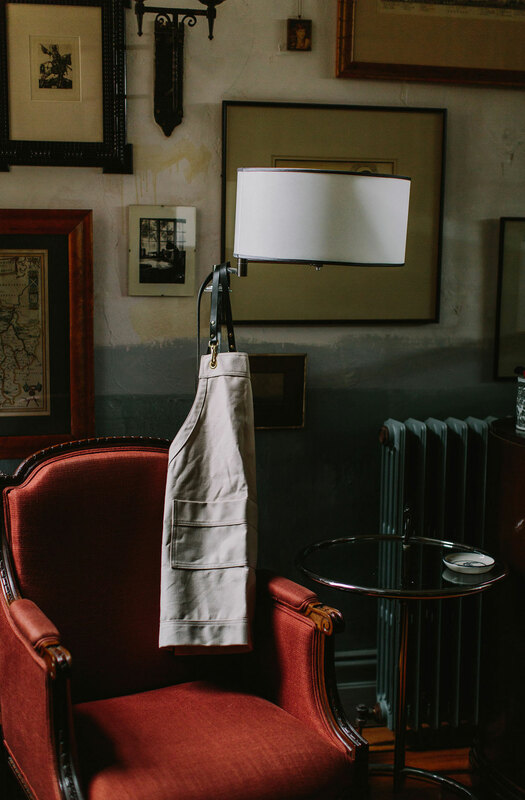 Of all creative endeavours, deciding to create your own apron may seem odd but in Moir-Smith’s case it proved to be the natural consequence of her multidisciplinary creativity. 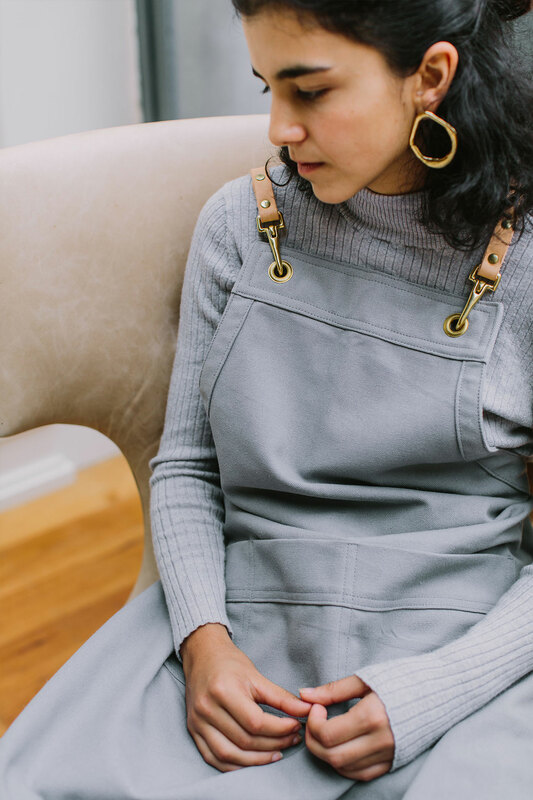 Born into a creative family of artisans and artists—her father was a carpenter, hence the name of the brand, while her mother was a painter—she grew up with dreams of becoming a cook, a florist, a gardener, a potter, a sculptor or a painter. 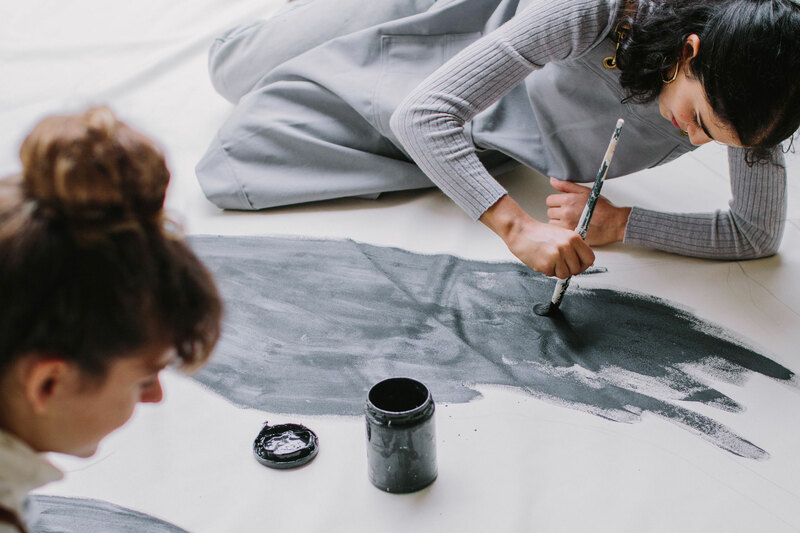 Her apron-crafting business not only allows her to explore all these interests but also actually provides a direct link by catering to the needs of these creative professionals and thereby enabling many networking opportunities. Also, on a more conceptual level, the apron for Moir-Smith is a symbol of her love, support and encouragement of people’s creativity. 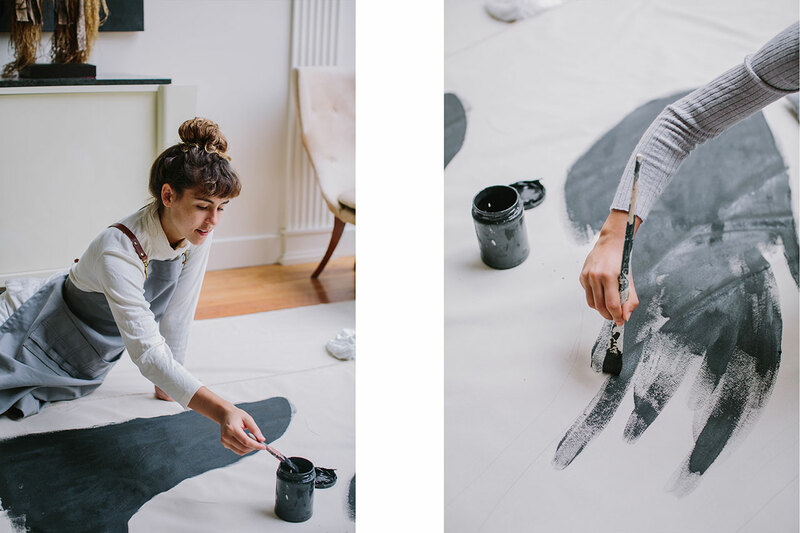 Encouraged by her parents, Moir-Smith has always worked with her hands, a creative process that has become an integral part of her life. “When you are creative there is a child-like unawareness, there is no pressure or intellect”, she explains, “it’s a very pure way of being”. 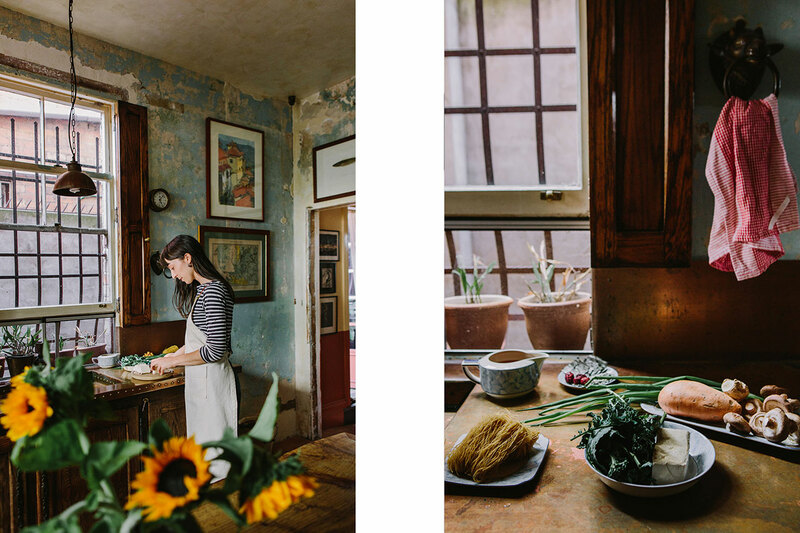 This creative immersion, which is very specific to each person even when conducting the smallest of routines, be that preparing a meal, tending to your garden or crafting a clay pot, is reflected in Carpenter's Daughter's work, whose hand-crafted utility smocks are made-to-order for all kinds of creative industries, from painting, pottery and woodwork to gardening and cooking, but also for anyone looking for a quality apron. 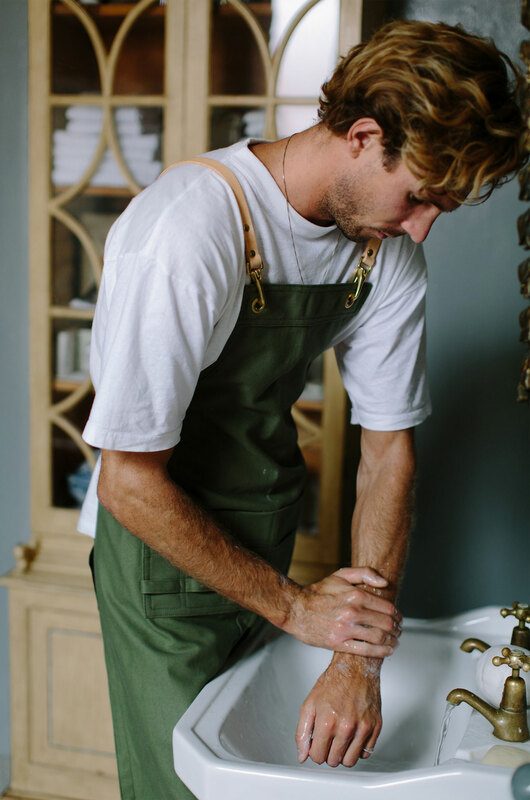 Made out of leather and 100% organic cotton heavy-weight canvas responsibly sourced from Italy and South America, with Australian solid brass finishes that with time acquire a natural patina, the bespoke aprons are extremely durable yet luxuriously soft. 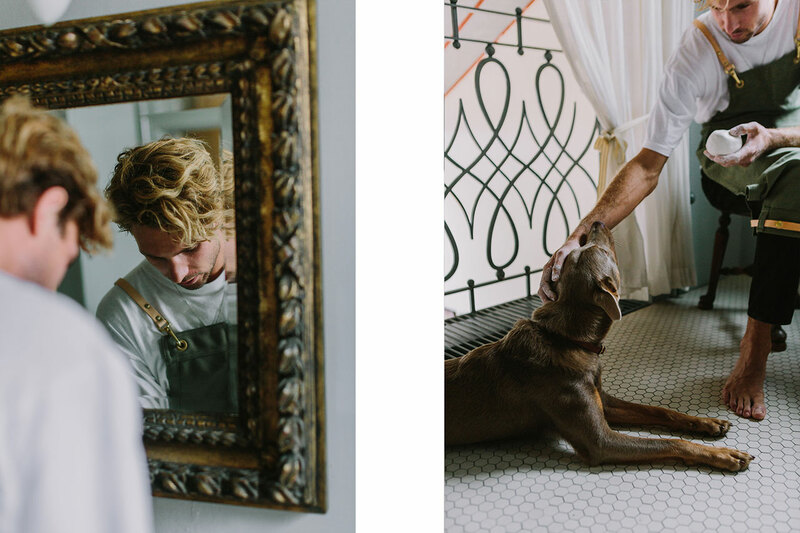 The brand, which also makes linen studio dresses, belts and dog collars, caught the eye of Lucas on Instagram who then decided to make a short film not only as a celebration of its unique visual aesthetic and work sensibility but as a meditation on creativity. In order to get a better sense of the brand’s modus operandi, he spent time with Moir-Smith and her friends over several months getting to know their perspective on life, art and work, which unsurprisingly, was not far from his own. As Moir-Smith has said, “learning and growing from one another can only lead to positive outcomes”, and this couldn’t be more evident in Lucas’ evocative film. 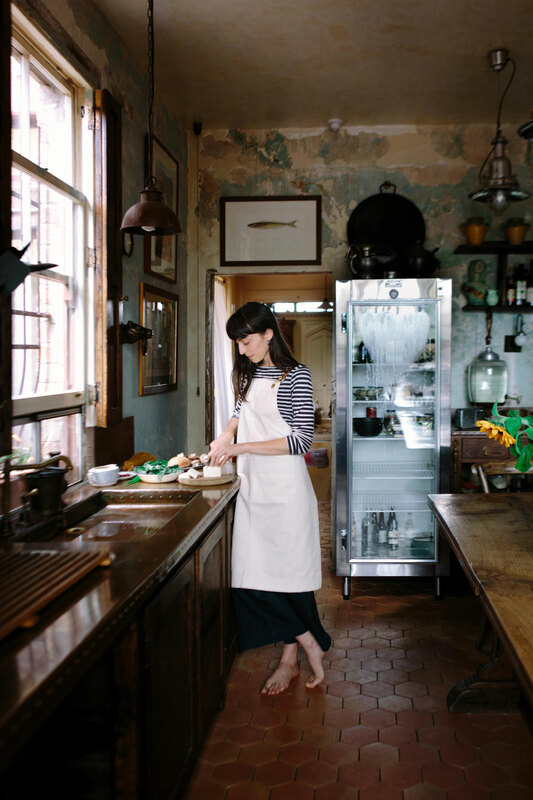 Beautifully shot in Moir-Smith’s studio and home among her friends and family, as well as in carpentry and pottery workshops that the brand caters to, the film embodies Carpenter’s Daughter ethos: that everyone is creative in their own way. But it also poetically illustrates how being creative both informs how you live your life and vice versa. Creativity cannot be forced, it can only be nurtured, Lucas and Moir-Smith seem to be saying, a wise lesson indeed to all creatives out there. Carpenter’s Daughter x Julian Lucas video screenshot. Photo © Carpenter’s Daughter.